Security Canada Trade Shows lead the industry with cutting-edge technology, unparallelled education opportunities and access to the most powerful networking opportunities you’ll get all year. Brought to you by the Canadian Security Association (CANASA), these six events are staged in key centres across Canada, providing an unrivaled national perspective. 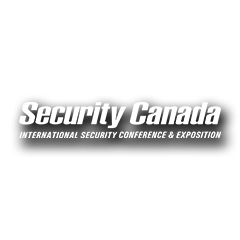 The Security Canada shows are the largest, most comprehensive and well-attended events of their kind in the national security industry. Seven out of ten decision makers you meet at Security Canada will not attend any other Canadian trade show. You have to be here. To learn more about how we can help you prepare your exhibit for the event, call (416)292-2966 or contact us online to get in touch. Visit the CANASA’s website here. This entry was posted in 2018 Shows, News & Updates, Trade Shows and tagged 2018, back wall, banner stand, Banners, Canada, Conference, Custom exhibit, Design, Displays, event, Exhibits, expo, fabric displays, Fabric Exhibits, fabric wall, Show Services, toronto, Toronto Trade Shows, trade show display, Trade Show Exhibits, Trade Shows. Bookmark the permalink. © 2019 Marketing Services Network Inc.